James Dixon / & Sons / Sheffield “improved” Patent, large bag-type powder flask with lanyard ring at bottom. 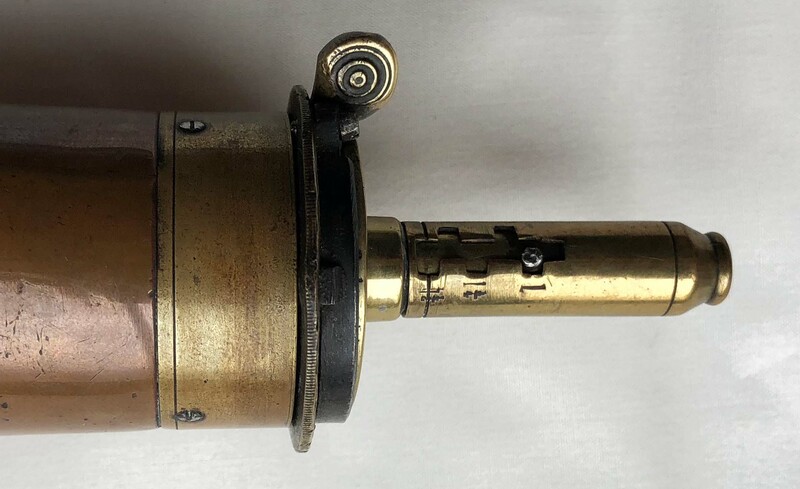 Five position charger, for the Colt Model 1860 Army or Colt Dragoon percussion revolver. The charger is marked from 1 to 1 ½ drams. Height 6 ½ X 2 ¼ inches. Rapley F#46.